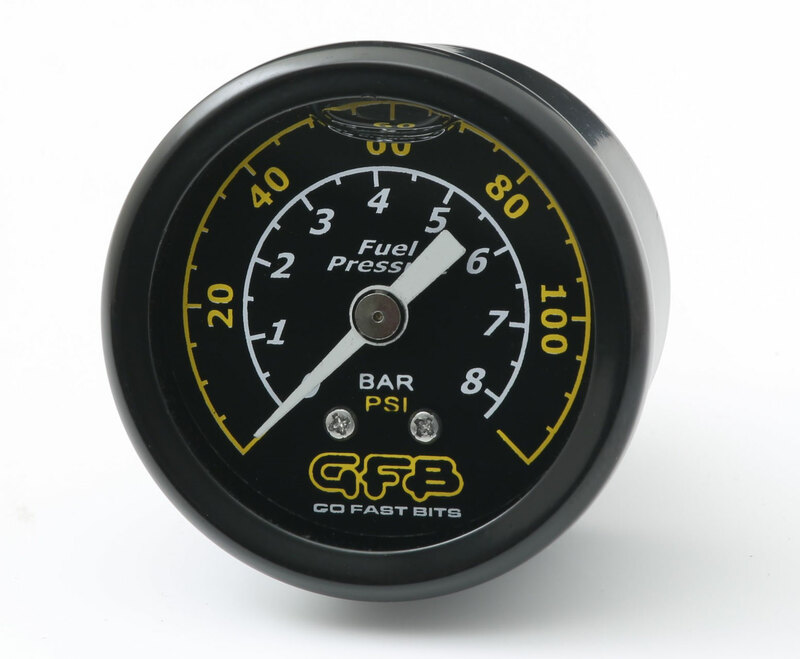 GFB’S FX SERIES EFI FUEL PRESSURE REGULATORS JOIN THEIR EXISTING LINE OF SUCCESSFUL PRODUCTS, BUILT WITH THE SAME PRECISION, MACHINING QUALITY, AND RELIABILITY THAT IS THE FOUNDATION OF THEIR REPUTATION. 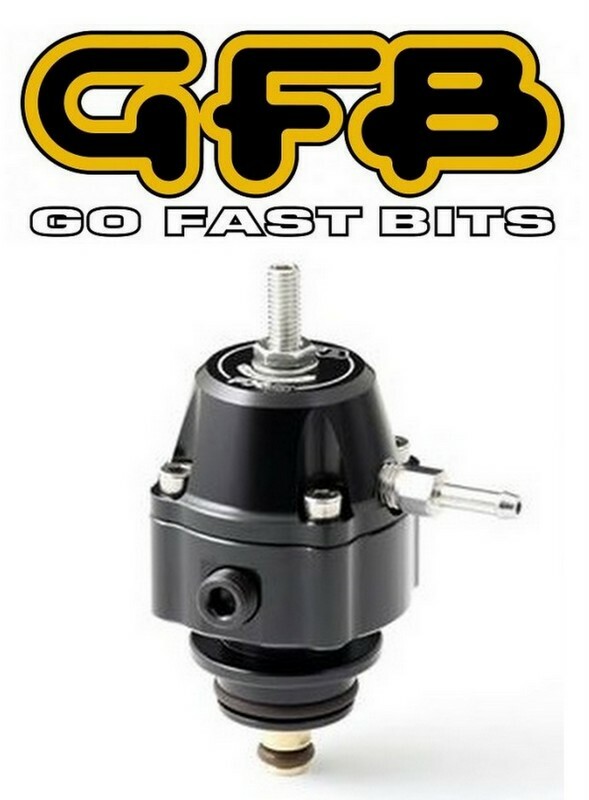 From the 800Hp FX-S Street (Part # 8050) to the1500Hp FX-R Race version (Part # 8060), and whether you run pump petrol/gasoline, Ethanol, Methanol or Diesel, we have you covered no matter what your Fuel Pressure Regulator requirements are. What sets us apart from the competition? Well, if you’re looking for an EFI Fuel Pressure Regulator that seals and behaves just like your factory unit but with the added reliability and high flowing capacity you require, then look no further than the FX-S.
How have we achieved this? Our engineers have spent countless hours developing a unique replaceable co-polymer valve seat. What does this mean? Conventional aftermarket performance Fuel Pressure Regulators typically utilize a metal-to-metal valve and seat which by nature will not positively hold pressure when your engine is shut down, which can make startup more difficult. GFB have incorporated a softer, more compliant yet resilient material for the valve seat, which will always positively seal and hold fuel pressure on shut down, designed to give factory-like sealing and reliable startup, as well as superior fuel resistance suitable for Unleaded, Ethanol, Methanol, and Diesel fuels. GFB also use a double layer diaphragm, which means we have twice the reinforcing material, and as a result the burst strength exceeds 1000psi! The FX-S offers multiple fuel inlet and gauge ports that allow for a wide range of fuel system setups beyond the usual inlet/outlet, including parallel fuel rail or returnless “deadhead” systems. The two gauge ports allow you to run a mechanical fuel pressure gauge AND an ECU fuel pressure sensor if you want to. 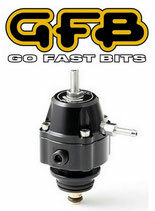 GFB Fuel Pressure Regulator - FX-S 800HP - Ford XR6T Bolt on - INTRODUCTORY OFFER! !